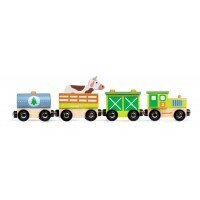 Are you ready for a jungle adventure? 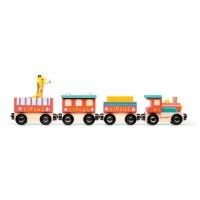 Join the elephant and crocodile on the Safari Train complete with a steam engine, caboose and 2 extra carriages. 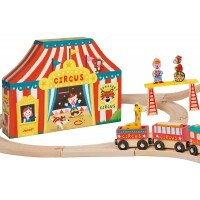 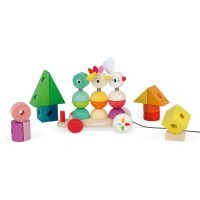 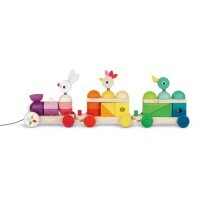 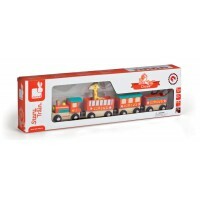 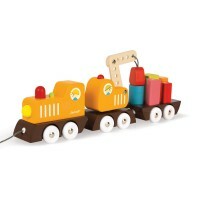 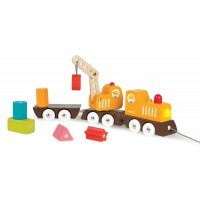 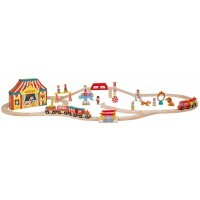 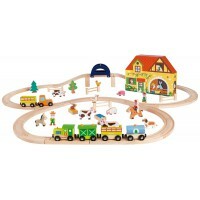 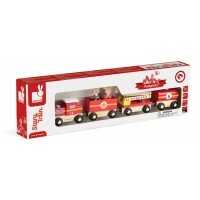 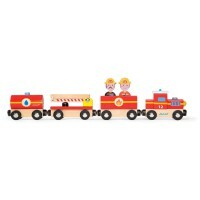 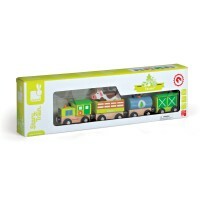 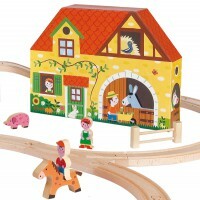 Made from wood with moving wheels and magnets to attach together, they are a perfect addition to the Janod Railway set.